Get comprehensive view on how 4,000+ consumers use, spend, and think about major products, applications, content, and more. Now in its 4th year, the 2018 Virtual Reality Consumer Study provides empirically-based insights into a broad scope of topics relating to consumers and virtual reality. 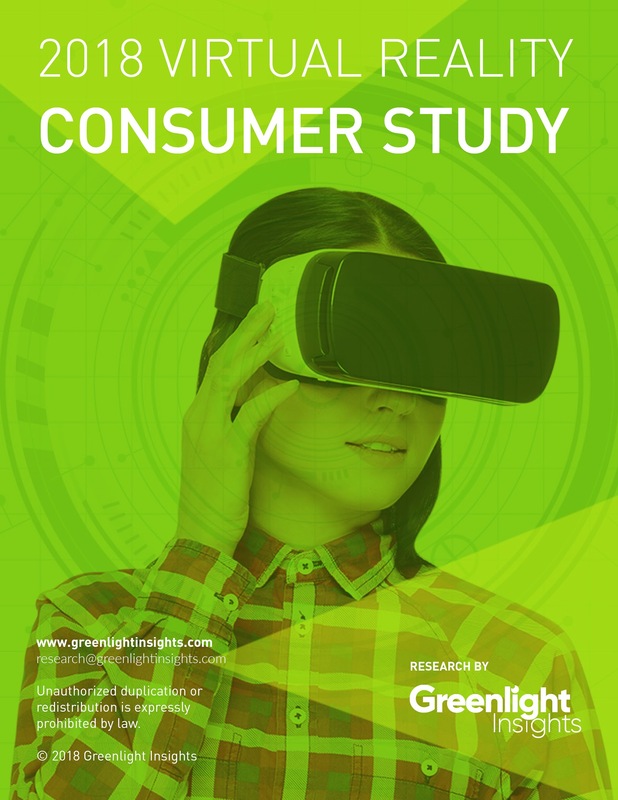 Greenlight Insights’ fourth annual edition of the Virtual & Augmented Reality Consumer Survey provides unique insight into consumer behavior with a panel covering 5,000+ US and Canadian respondents aged 18-70. Focusing on four generations and five distinct age groups, the 2018 VR Consumer Study provides insight into how consumers are interacting with virtual reality products, applications, content, services, attitudes and behaviors toward location-based VR, social, advertising — and what their preferences might be in the future.